News of The Doctor and her new pals sparked a little debate over the numbering of our favourite Time Lord on the main page. It got me wondering if The Doctor could actually be in his third regeneration cycle - even if he and his ever faithful audience don’t know it? Back in the day when the process of renewal or regeneration was a dramatic novelty, it seemed a convenient way to keep the best show in the galaxy flying. It would just go on and on. Wouldn’t it? That came to an awkward end in The Deadly Assassin by Robert Holmes which introduced the idea that Time Lords could regenerate 12 times, giving them 13 incarnations. The Master had burnt through his allocation and was trying to push the envelope and settle scores at the same time. Producer Philip Hinchcliffe also muddied the waters in The Brain of Morbius when The Doctor battles a renegade Gallifreyan War Lord. Morbius has The Doctor whipped in a game of psychic mind wrestling and we see him push back through previous incarnations. 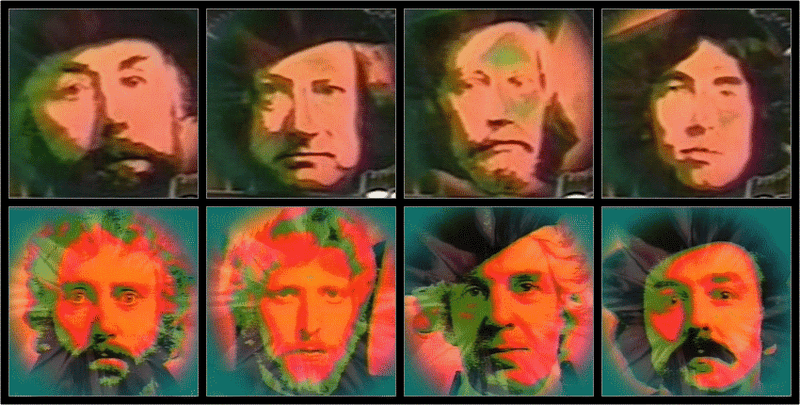 Hinchcliffe has said it was his intention that these faces, culled from various production staff, including himself, should be pre-Hartnell Doctors. We see eight before Morbius blows a fuse. So what if the Fourth Doctor is actually the 13th? And The Watcher is not only a manifestation of the future, but a handy package of new regenerations to kick things off again? Does The Watcher count as new Doctor number one? I’ll keep him as just the delivery mechanism for the moment. We start anew with the Fifth Doctor, or 1B if you prefer. That makes the War Doctor 5B, although he and Eight (4B) are participants in the wibbly-wobbly, timey-wimey Time War where people die only to be reborn and die again. There are a few jokers to be had in that period. 5B also ages a bit between Night and Day of The Doctor. Plenty of opportunity to insert, say another Doctor of Great Intelligence. Some of the BBC novels have a line where a revolutionary faction interferes in The Doctors past, changing certain key events. The Doctor faces a one-armed future version of himself. The First Great Time War? Then later books imply that The Doctor has three Ninth incarnations. That’s got to break the wave form. If we ignore that though, in strictly linear terms, double regenerating Ten becomes 7B and 8B. Do we count the time Eleven (9B) died out right, saved only by River Song’s regeneration energy? Is he double-dipping as well? Which makes Twelve into Doctor 10B which sound like either a quaint town in South Wales or strange dictation from Delius. Ta-ta-ta! I seem to be a little short there, please insert Jokers of choice, Watchers, Shalka Doctor, Lungbarrow looms, double dippers, unspecified time-space events as you choose. Apply these until Eleven becomes 13B and Twelve becomes 1C. Or was he something else and that influx of energy to Matt is what cause the ultimate transfiguration into Jodie. She’s 1C. (No truth in the rumour that her costume will be a leopard skin onsie). Is Bradley really playing Susan ...?